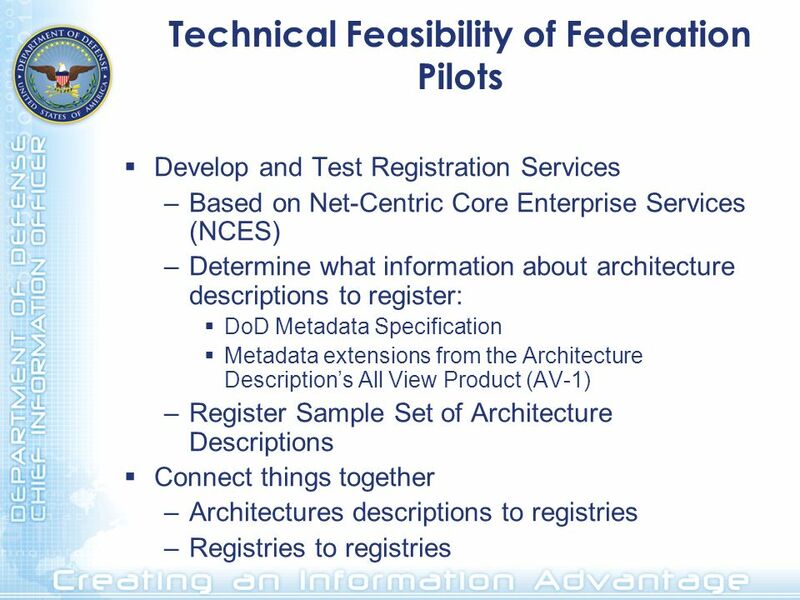 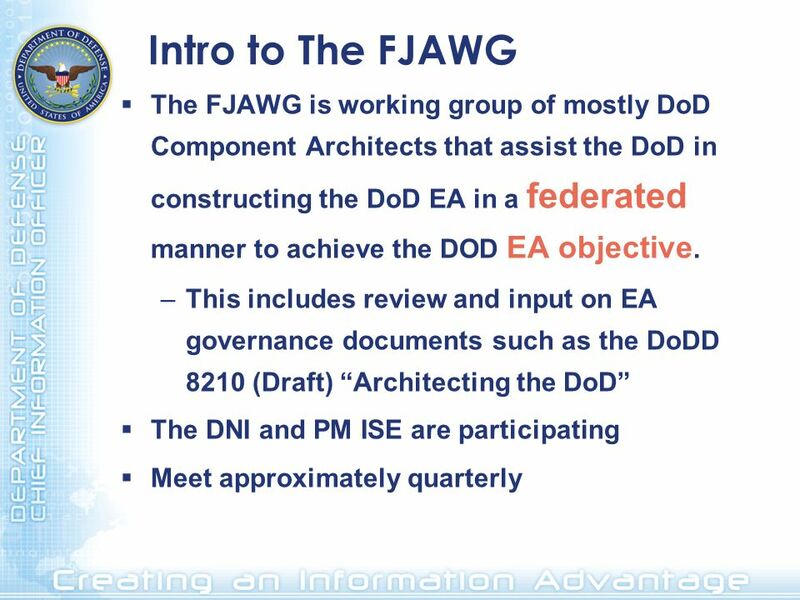 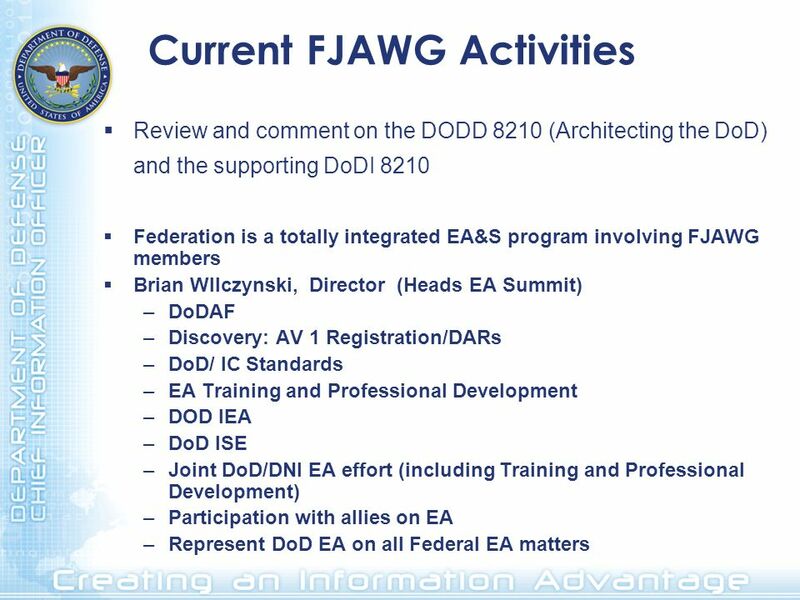 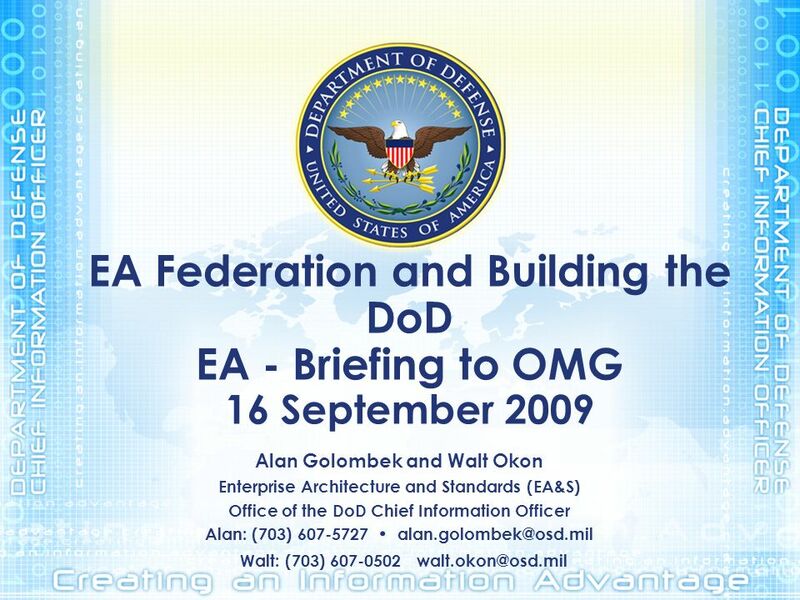 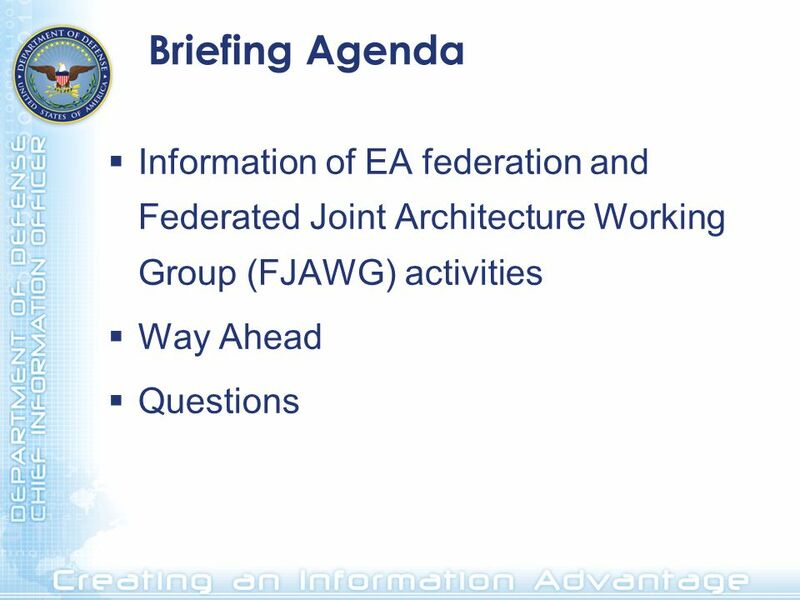 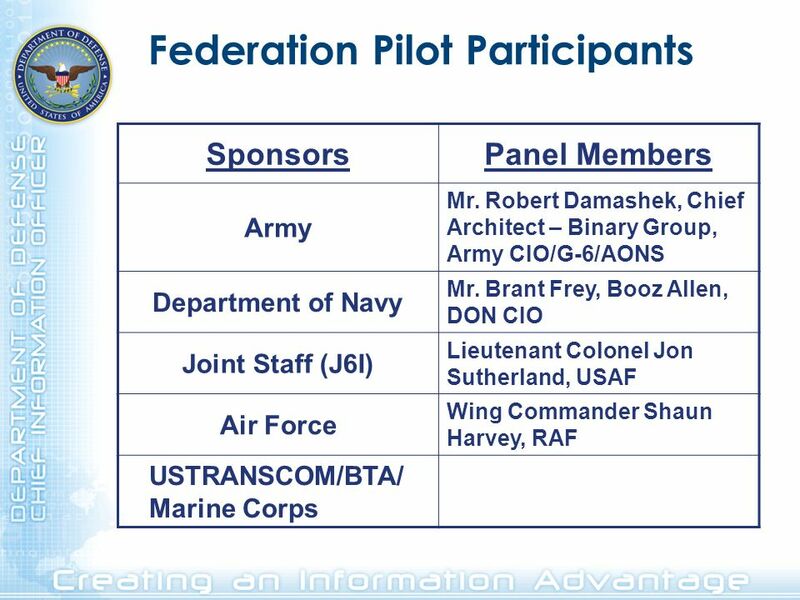 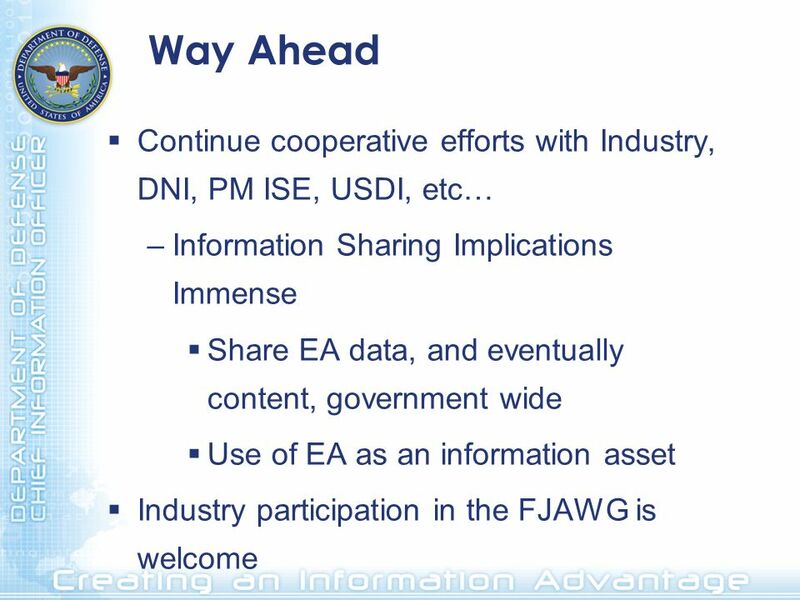 Download ppt "EA Federation and Building the DoD EA - Briefing to OMG 16 September 2009 Alan Golombek and Walt Okon Enterprise Architecture and Standards (EA&S) Office." 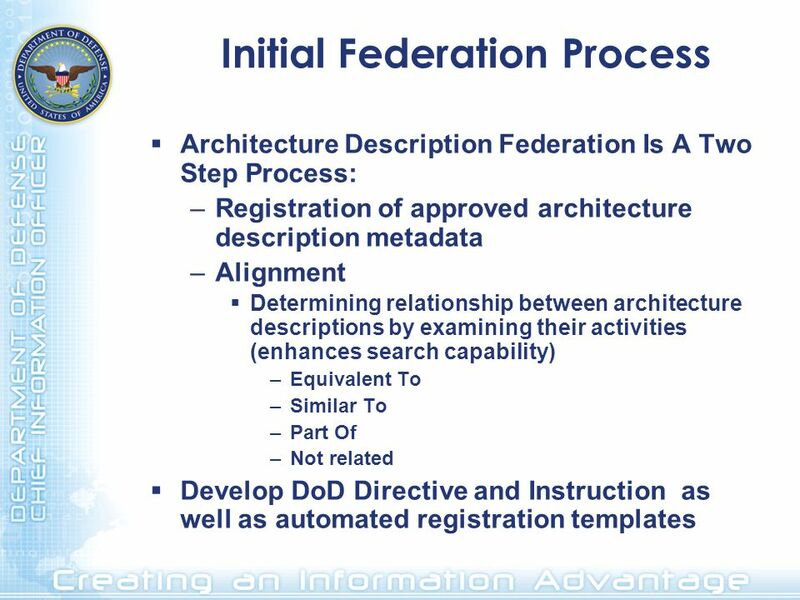 DRAFT Reporting Department of Defense Programs to OMB Improving PEO and Local Program Manager Use of Exhibit 300s to Show Business Value / Architecture. 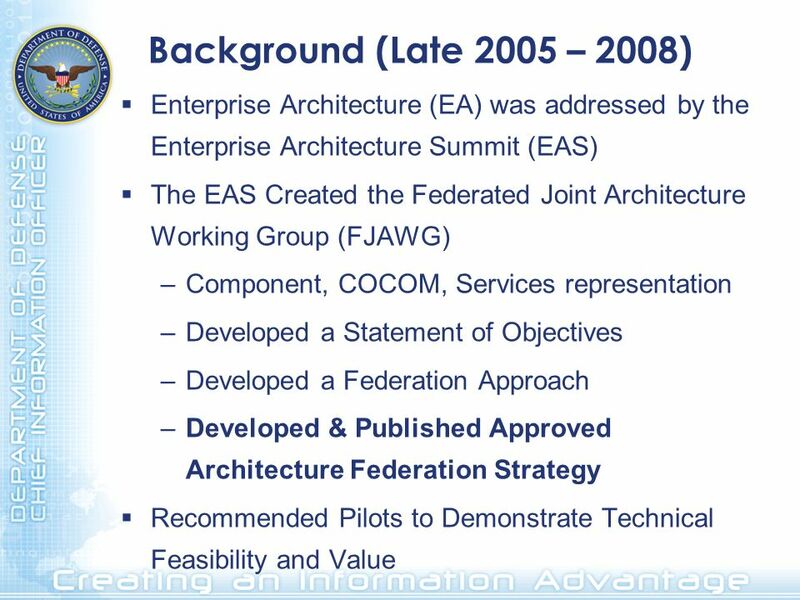 13 th Command & Control Research & Technology Symposium Bellevue WA June, 2008 Briefing Managing the Life Cycle of Net- Centric Architectures This document. 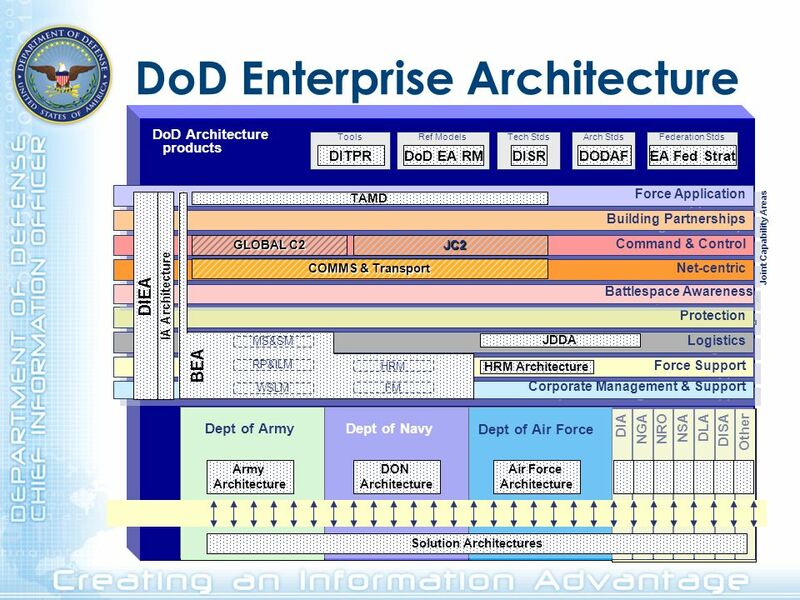 NDIA System Engineering Division 2012 Task #4 October INTERIM PROGRESS REPORT. 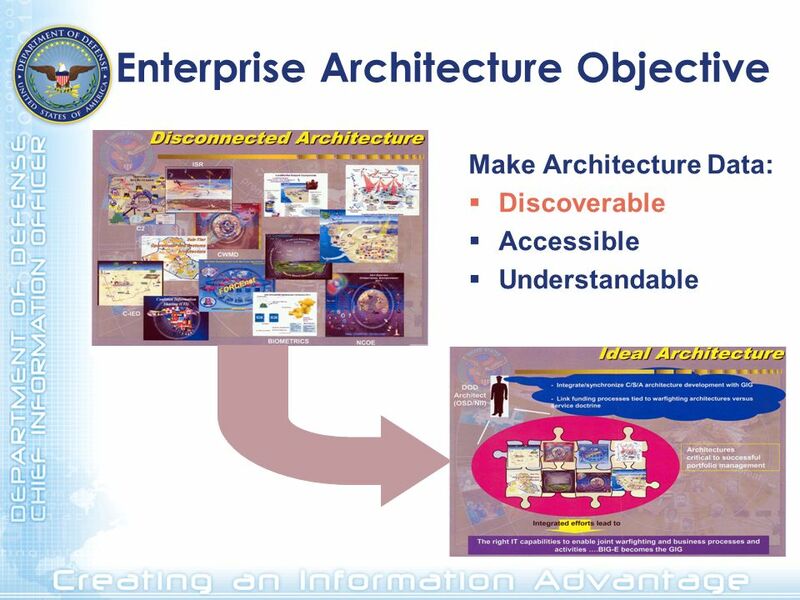 UNCLASSIFIED 1 Enterprise Architecture Career Path Working Group Walt Okon Senior Architect Engineer Architecture & Infrastructure Directorate Office of.